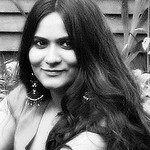 I know it’s been few weeks already since this space breathed a new post… As the days are getting longer and nights are getting shorter, my desire to take a break from usual daily grind grew stronger… Summer, well, it is officially here in my neck of wood with soaring high temperature of 27 deg C.
Summer is here for every other person we meet on our way… Every one is smiling and greeting every other stranger they meet on the path. Café and restaurants are flooded with people sitting on the pavement… Usual coffee cups are replaced with a tall glass of chilled lemon tea and ice cream cones. The time spent indoors snuggling under the duvet is dumped for long walks and pottering around the tiny patch of garden! Fresh fruits and a bowl of light salads make regular appearance and the hot bowls of soups feels like the things of the past! Summer is here and so is barbequing! We have been using our BBQ for cooking few meals and at the same time enjoying the sunshine in our garden! From store brought burgers to simple homemade grilled vegetables, we have been enjoying the great British summer weather. So on a weekend I decided to try a hand at cooking few Indian recipes in BBQ while making the most of the glorious weather with my much loved ones. And the first thing that popped up in my mind was Paneer Tikka Masala, a vegetarian version of much loved and popular dish of UK, Chicken Tikka Masala! It is so popular that in 2001 then the Foreign Secretary Robin Cook declared it as a true British national food to set and example for Britain’s true multiculturalism!!! Although the term Chicken Tikka was included in dictionary in 1955, the dish was originally invented some 500 years ago in the Punjab region of present India-Pakistan border! The tandoor oven and tikka goes hand in hand! The story of tandoor clay ovens starts around 5000 years ago in India! But the story of Chicken Tikka, a small bite sized marinated and tandoor baked chicken pieces called Tikka, begun only after the first Mughal emperor Babur conquered the Punjab region in India. Mughal’s were known for their love for rich, regal, creamy cuisine that heavily influenced by Persian and Turkish cuisines. Mughali cuisines are rich with heavy creams, dry fruits, aromatic spices and heavy fat in the form of butter and ghee. When Babur, a picky and finicky eater, got tired of chocking on small chicken bones, he ordered his royal cooks to remove all the bones before cooking them or risk a roasting themselves! Terrified for their life, the cooks chopped the chicken into small pieces and inspected for every small bones before roasting them in tandoor. The dish thus produced was called Joleh, a Persian name for chicken, Tikka. The tale of Chicken Tikka gets more interesting and puzzling from then on… Over time the recipe was tweaked, improvised and developed and the boneless chicken pieces were marinated in aromatic spices and yogurt before baking them in tandoor. While the Indians were fighting for the independence of their country, it is no surprise that no one cared enough to chronicle the sorry tale of chicken tikka! The British who ruled India till 1947, returned to their homeland brining back many features of Indian life, from curries to Kohinoor diamond, and Chicken Tikka was just one of them. Although the Indian curries were loved by the British people, the tandoor ovens didn’t catch their fancy. So the chicken tikka was almost forgotten till a flood of immigrants from Indian subcontinent came to UK after the World War II. In and around 1950s, many Indian immigrants opened Indian restaurants across the nation, and made British people fall in love with Indian curries. 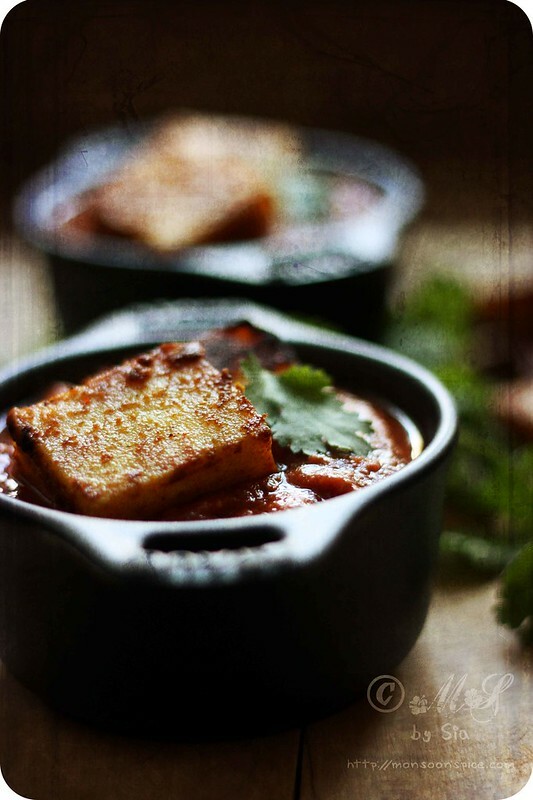 Although the Chicken Tikka was an instant hit and is indeed an Indian recipe, the Masala (in this case, a thick tomato based gravy) is invented here in Britain for a British people who found the Tikka to be too try and demanded for the gravy to be served along! The angry chef out of desperation or some weird inspiration, decided to create gravy by dumping a can of Campbell’s tomato soup, a dollop of yogurt and some spices. And lo, behold, the British national dish was born and over 23 million portions of Chicken Tikka Masala are served in Indian restaurants all over the UK!!! Since then many chefs, from Scotland to London in UK to Delhi in India, have claimed the dish to be originated in their restaurants and the battle still continues! The Britain’s favourite food is now lapped by many around the world! Today the Chicken Tikka Masala is not made using canned soup (thank heavens!) and it is little more complex and regal than that! Authentic recipe, by accident or by the result of angry and insulted chef getting his revenge on ignorant client, is still a mystery and questionable! There are many variations to this British born dish but none are actually authentic! Look into internet, cookbooks, magazines, family recipes, restaurants and every where, you will always end up with a recipes that are different from one another! A survey among 48 top Indian restaurants came up with a result that the one and only ingredient common in the recipe to be chicken! Yes, you read it right! So looking for authentic Chicken Tikka Masala is like finding a unicorn in your back garden! The vegetarian version of this Chicken Tikka Masala uses Paneer, an Indian cottage cheese. The Paneer Tikka Masala may not be as popular as Chicken Tikka Masala but the soft, crumbly paneer is marinated in spiced yogurt and then grilled in tandoor oven till golden, thus giving it a wonderful and distinctive smoky flavour is one of my most favourite food to eat with freshly baked Butter Naan and a slices of onion drizzled with freshly squeezed lemon juice. The Tikka Masala gravy is sweet and sour with onion and juicy tomatoes and a creamy due to cashew nut paste. There are many versions of Paneer Tikka Masala and this is what I call my tried and tested and loved version of Paneer Tikka Masala over the years! Don’t get scared by the look of one lengthy ingredient list as the recipe is pretty simple and straight forward. 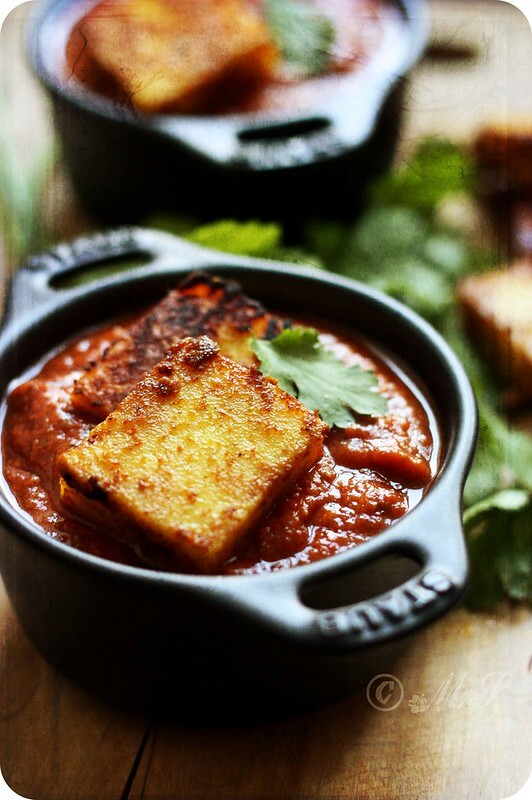 The marinated paneer is pan fried or barbequed and cooked in creamy tomato gravy. 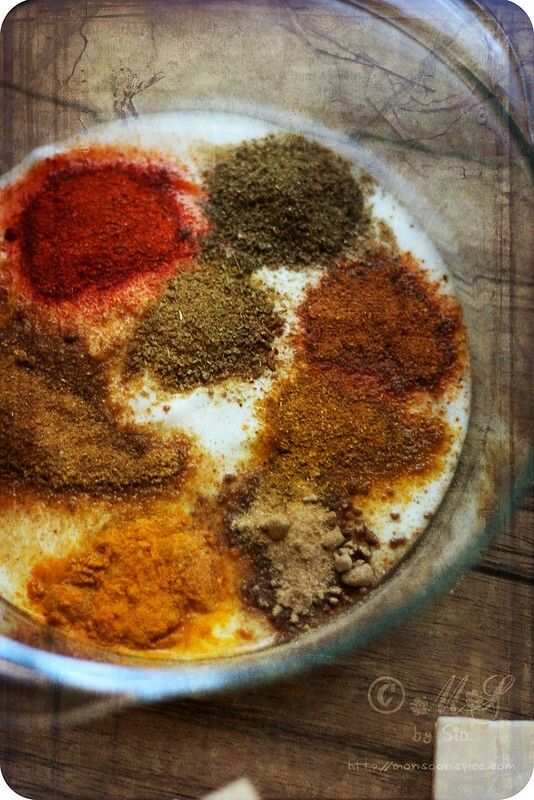 Whisk the yogurt to remove any lumps and then mix all the spice powders listed under for yogurt marinade. Add paneer and mix them well. Make sure each piece is coated well with yogurt. Cover and keep it in refrigerator for at least half an hour to 2 hours. 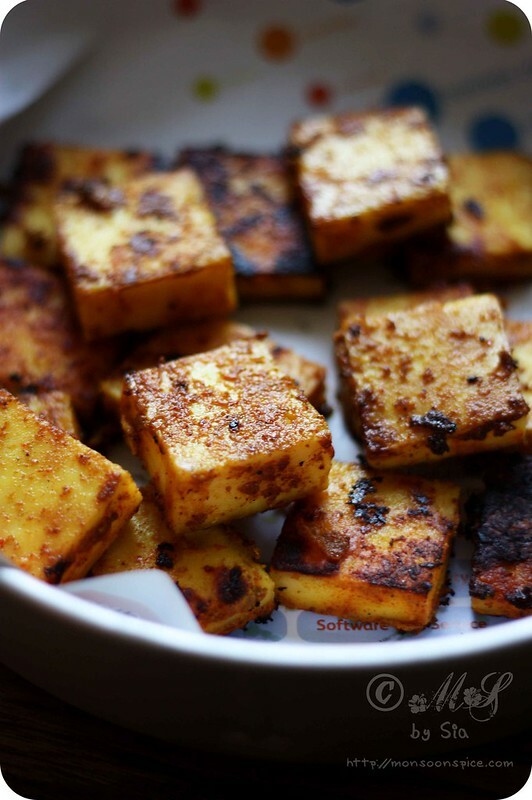 Once the paneer is marinated, heat a griddle/tawa on medium flame drizzled with a tbsp of oil. 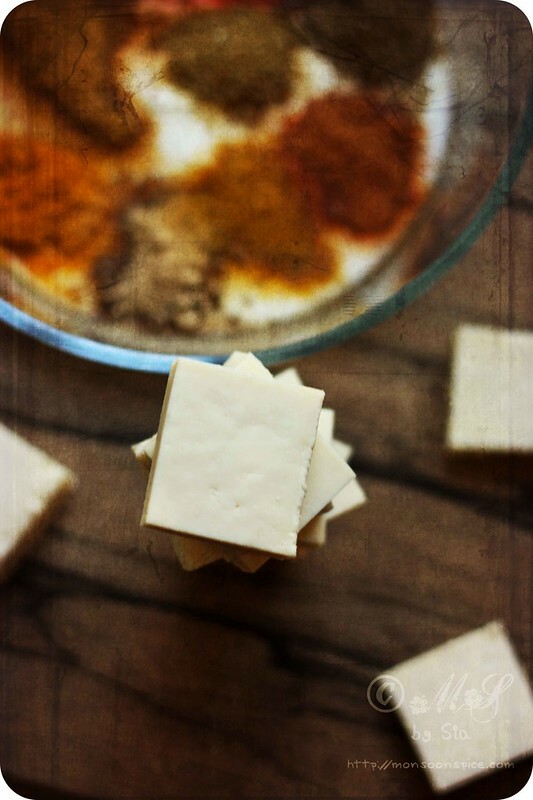 Arrange the paneer pieces in single layer (do it in batches of 6-8 pieces) and let it fry for 2-3 minutes on low to medium flame till it turns golden brown in colour. Flip it gently and let it pan fry for another 2 minutes or till it turns golden brown. Transfer to the plate or bowl lined with kitchen towel. Repeat until all the paneer pieces are pan friend to golden brown. Alternatively you can grill or broil them in oven at 150 deg C for 3-4 minutes on each side. 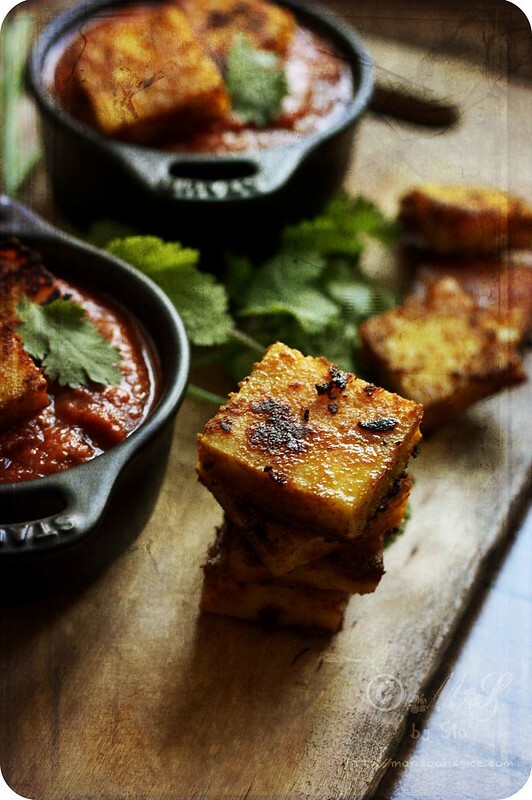 Arrange the paneer in a baking tray lined with parchment drizzled with oil or with cooking spray. Grind the ingredients listed under onion and tomato paste separately without adding water and keep them aside. Heat oil in a pan and add onion paste and ginger-garlic paste to it. Fry them till their raw smell disappears and the paste becomes little dry and forms a lump, about 5 minutes. This is a crucial step and don’t be in a hurry as the uncooked or under cooked onion paste can make the curry taste bitter. Next add crushed kasuri methi, garam masala, kitchen king masala and sugar, if using, and fry them for a minute. Add tomato paste and give it a good mix. Let it cook for 2 minutes, stirring continuously. Mix in tomato paste, salt to taste and about 1½ - 2 cups of water. Let the curry cook for 8-10 minutes on medium flame for all the flavours to blend well. 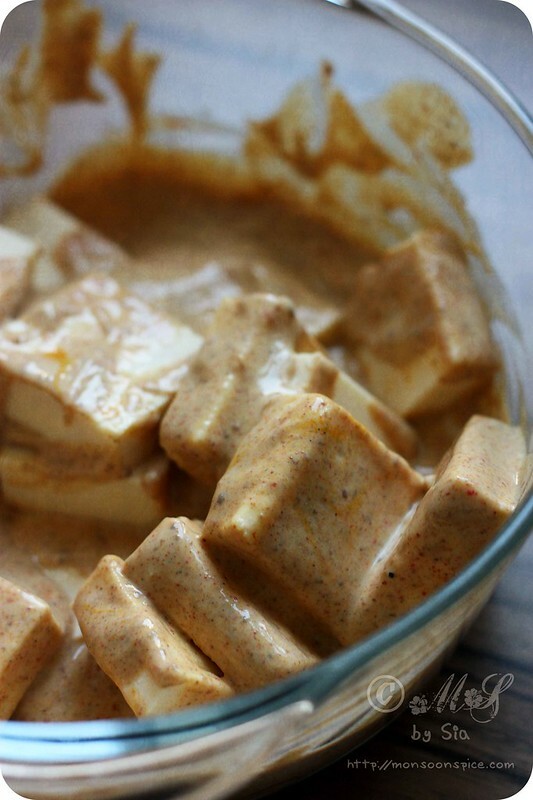 Add Paneer Tikka to the gravy and let it cook for another 3-5 minutes. Serve this absolutely delicious, creamy Paneer Tikka Masala with any Indian flat bread or flavoured on plain Basmati Rice and enjoy! This delightful Paneer Tikka Masala tastes even better on next day. So make sure you have some leftovers to indulge. Cashew nut used in Paneer Tikka Masala is optional. 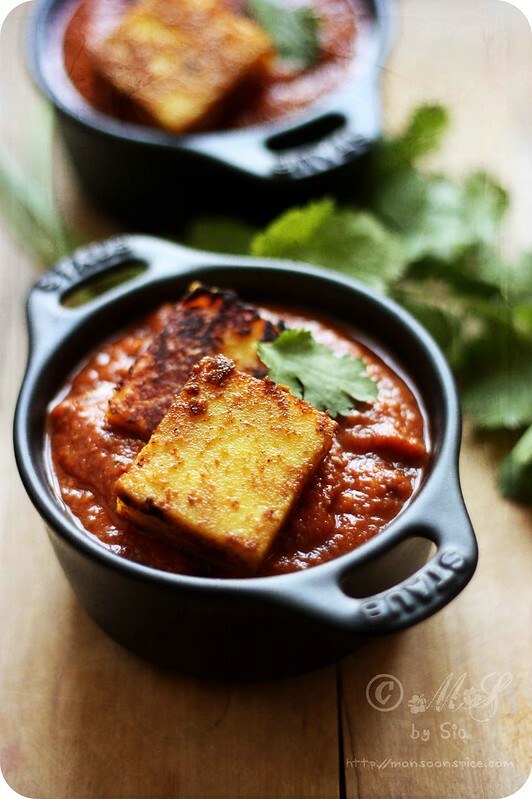 Tandori Masala used for marinating the paneer gives it a distinct smoky flavour. It is available in any Indian grocery stores. 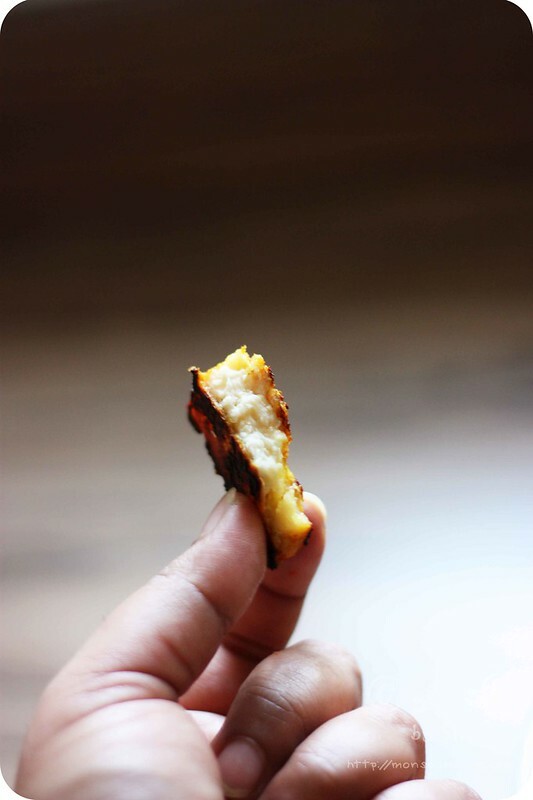 The Paneer Tikka can be served without any masala or gravy as a starter or finger food and even as a stuffing in sandwich, pita bread, tortilla or chapatti with few salad leaves, a drizzle of your favourite dips (my favourite is thick Greek yogurt and sour cream) as a healthy meal option. Paneer Tikka is great for barbeque and it sure is a crowd pleasure! Lovely clicks! This is a wonderful dish. Really scrumptious. Slurp! this looks fab, Sia. It's interesting that you use both garam as well as kitchen king masala. The idea of playing around with spices till you hit the 'right' mix for you is the fun part. ohh dear...you r making me drool !!! !what gorgeous pics !! !delicious !!! 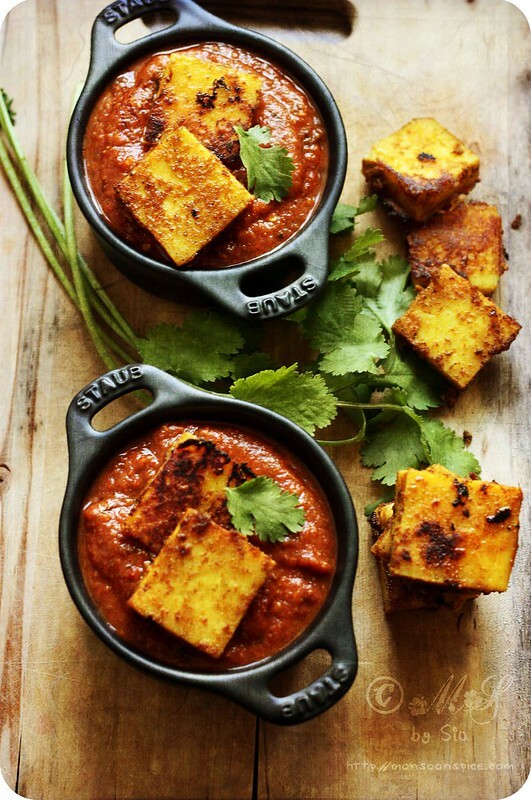 The paneer looks so very good. Love the pictures, they are pretty awesome. Love the dark red of the curry. The orange color is what makes me run away from the paneer masalas in general. My kids are paneer fans so got to make this for them. What a wonderful post! Filled with lots of information, beautiful photos and a perfect (I am sure it is) recipe! I rarely eat paneer but when I do, I really enjoy a well made grilled paneer dish. Paneer tikka masala is a classic! love the dark pictures.. :) and the history behind it. tikka masala and some variations are pretty much made every other weekend at our place..vegan version with some crisp tempeh. Awesome Dish..Thanks for sharing the recipe and the interesting history as well..
What a wonderful pics of paneer tikka masala you have here. Your pictures are simply gorgeous..they can make anyone want to make and eat it right away! I made this tonight, and it was a hit! Delicious! Oh my life, I wasn't even searching for anything to do with food, yet this came up and distracted me... now I can't even remember what I was searching for???!! yum! Made it and came out fantabulously delicious!!!!!!!!! Hi .. Loved the receipe :) thank you so much for sharing! can you please let me know which brand tandoori masala do you use? I am doing my trial & errors with all the masala brands but yet to find the right one. Thanks! @P, I have used Eastern brand tandoori masala. Ahaaa..craving has started already ..can I can I replace paneer with tofu?